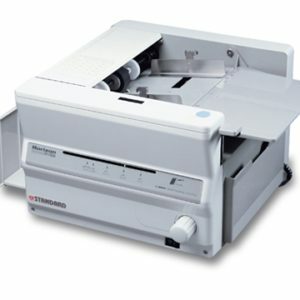 Profold PF 1000 Feeder/Folder - Roberts Business Machines, Inc. 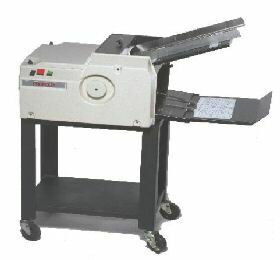 The Profold PF 1000 Feeder/Folder is a unique machine designed to save labor and eliminate the bindery step by folding flat stock and delivering it directly into an inserter gripper arm. The unit easily fits on the inserter hopper table of conventional A-Frame inserters and requires no additional floor space. 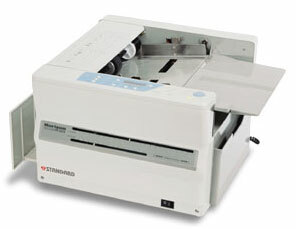 The PF 1000 does not require separate operators. 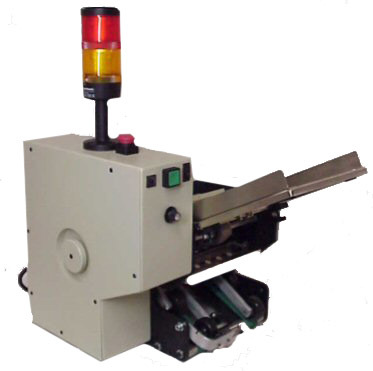 Front load design allows one operator to handle both the inserter and folder. 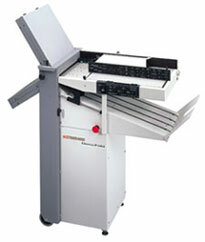 The PF 1000 is built in left and right versions so that up to four can be mounted on a six-station inserter. The PF 1000 allows the inserter to run continuously without stopping for product reload.